Some of the world’s wealthy elite donate to charity. 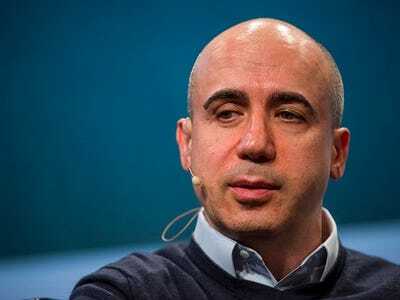 Billionaire tech investor Yuri Milner, however, is spending $100 million over 10 years on space exploration to fund the search for extraterrestrial life. His plan is to send a probe to travel to the next star system, Alpha Centauri, which is 25 trillion miles away. Milner explained why he believes that’s a worthy cause at the Bloomberg Technology Conference 2016 in San Francisco on Monday. In particular, he explained why he chose to do this despite the fact that it’s very unlikely he’ll live to see it play out. Marco Polo took 25 years to travel around the world as we knew it at that time. And when people starting building cathedrals, they knew that it would take 200 years to build. And yet they were planning for it, and then they were slowly building it, and they were improving technology and so on and so forth. I think that as we accelerate further and further, we probably are not so used to thinking 50 years out, but we only need to go back a few hundred years to find people who were. “Sometimes we are not thinking big enough and sometimes we are not devoting enough resources to very long-term projects,” Milner said.